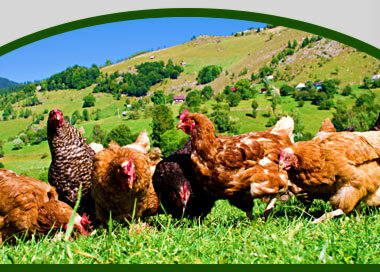 Yorktown Organics Layer Feed is a complete formula for all egg-producing poultry and non-laying mature birds. Our feed formula is all natural USDA Certified Organic and fortified with calcium to promote strong eggshell formation. Excellent nutrition is essential for growing birds that are strong, healthy, and productive egg layers. Our feed provides essential nutrients for optimum development and contains all the necessary amino acids, vitamins and minerals needed to maintain healthy productive breeders and layers. Yorktown Organic - 17% Layer. Organic Corn, Organic Expelled Soy Meal, Organic Flax Seed, Kelp Meal, Calcium Carbonate, Dicalcium Phosphate, salt, dl-methionine Vitamin A Supplement, Vitamin D-3 Supplement, Vitamin E Supplement, Vitamin B 12 Supplement, Riboflavin Supplement, Niacin Supplement, Calcium Pantothenate, Choline Chloride, Menadione Sodium Bisulfite Complex, Manganous Oxide, Zinc Oxide Ferrous Sulfate, Copper Oxide, Ethylene Diamine Dihydriodide, Sodium Selenite, Dried Aspergillus niger fermentation Extract, Dried Bacillus subtilus fermentation extract, Dried Trichoderma Langibrachiatum extract.